This week, we've added three new films to the Long Range Forecast. I Am Number Four, Big Mommas: Like Father, Like Son and Unknown are set to open on February 18. I Am Number Four is obviously hoping to tap into the same dynamic that has made the Twilight series so strong. The Disney release focuses on an average girl who falls for a guy who has super powers. 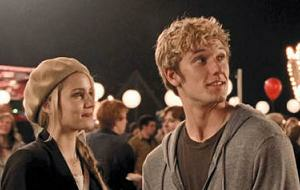 The success of the film will depend largely on whether or not moviegoers buy Alex Pettyfer and Dianna Agron. I Am Number Four also comes across as much more action packed than Twilight, which means that it could have a stronger appeal among male moviegoers. Big Mommas: Like Father, Like Son should turn into a respectable earner for 20th Century Fox. Lawrence certainly isn't the draw he once was, but the franchise will represent a comfortable choice. The first film made $117.6 million domestically and the sequel made $70.2 million, so expect another drop the third time around. Liam Neeson will try to bring in audiences for an another action flick with Unknown. Neeson had great success with Taken, and that should spill over into his latest effort. Check out our predictions for these films as well as others below.